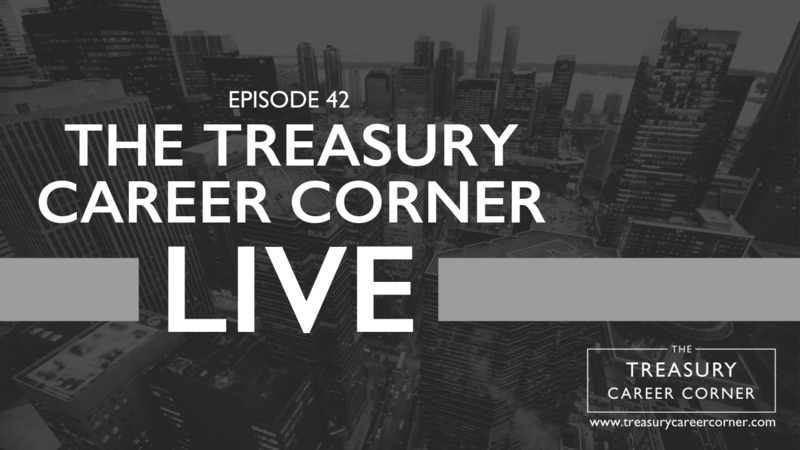 In this special mini-feature episode of The Treasury Career Corner podcast, I share lots of exciting news with you about our future plans for the show. Since launching the podcast in October 2018, we’ve had almost 5,000 downloads! So, I want to thank you for downloading the show, and I hope you’ve enjoyed learning about the treasury profession from all of our wonderful guests. With the podcast doing so well, we’re striving to make it bigger and better. To start, we’re launching The Treasury Career Corner LIVE, where we’ll be hitting the stage and interviewing treasurers about their careers in front of a live audience. But, that’s not all! We’re taking the show on the road and visiting cities including London, Luxembourg, Chicago, New York, Copenhagen and Boston. So, if you want to find out more about our exciting plans in the pipeline for 2019 and discover if we’re bringing the show to a city near you, tune into this special feature episode for the breakdown! Whether you’ve recently graduated, or you want to search for new job opportunities to help develop your treasury career, The Treasury Recruitment Company can help you in your search for the perfect job. Find out more here.Or, send us your CV and let us help you in your next career move! If you’re enjoying the show please rate and review us on whatever podcast app you listen to us on, for iTunes click here!